Gulf Coast Jewish Family and Community Services, Inc. (Gulf Coast JFCS), is our newest small grant recipient. This non-sectarian nonprofit serves more than 30,000 clients across Florida, each year. And the thing is, JFCS is really making a difference for kids, getting them through school, and reducing the recidivism rate for those who ended up on the wrong side of the law. That’s the kind of thing that makes us sit up and pay attention at Kars4Kids, when we’re going through small grant applications. 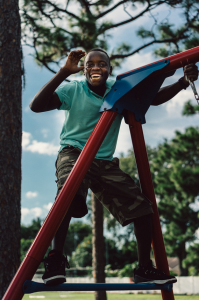 Kars4Kids: Gulf Coast JFCS’ Healthy Youth Transitions (HYT) program provides coaching and counseling services that help youth transition successfully into adulthood. What happens during an HYT life-coaching session? Caylee Harris: During a session, the life coach takes a hands-on approach and works closely with our young adult clients to develop and encourage the independent living skills of their choosing. Each of our clients has had a different experience in the foster care system, and as such, our young adults have differing needs and goals for the future. Some examples of areas of focus and interest include: obtaining/maintaining housing, educational attainment (enrolling in GED classes, finishing high school, taking post-secondary courses), financial literacy (i.e. budgeting, opening up a bank account), developing social supports, identifying and securing healthcare, learning how to grocery shop, developing cooking skills, etc. Kars4Kids: What are some of the challenges of being in foster care and coming of age? How does HYT address these issues? To help our youth throughout this difficult and often overwhelming transition period, life coaches provide guidance and support within a Positive Youth Development (PYD) Framework, which views young people as “resources” who have much to offer rather than as “problems” that need to be treated or fixed. Our HYT program works to ensure that these young adults attain the skills and connections they need for a successful adulthood. Kars4Kids: Can you give us an overview of the Transition to Independence Process Model that is used in your HYT program? Caylee Harris: The Transition to Independence Process Model is an evidence-supported practice for improving the progress and outcomes of youth and young adults (ages 14-29) with emotional and/or behavioral difficulties (EBD). The TIP Model prepares youth and young adults with EBD for their transition into adult roles through an individualized process, engaging them in the planning process for their own futures, as well as providing developmentally appropriate and appealing supports and services (Clark & Hart, 2009). Young people are encouraged to explore their interests and futures as related to each of the identified transition domains: employment and career, education, living situation, personal effectiveness and wellbeing, and community-life functioning. The TIP Model is operationalized through seven guidelines that drive practice-level activities with young people to provide the delivery of coordinated, non-stigmatizing, and trauma-informed services to ensure a successful transition into young adulthood. Kars4Kids: You’re getting impressive results with your HYT program. 95 percent of participants don’t become or cause pregnancy. 95 percent don’t engage in unlawful behavior. To what do you attribute these successes? Caylee Harris: The success of the HYT program is largely attributable to the incredible staff who put their heart and soul into this work. These dedicated individuals believe deeply in the potential of each of our clients and create safe, welcoming spaces where our young adults are encouraged, empowered, and motivated to build the skills they need to succeed. Kars4Kids: 71 percent of HYT participants demonstrated proficiency or improvement in employability and job retention skills; and, 77% made progress in school or post-secondary education, graduated or obtained a GED, and/or maintained employment. How are you getting kids through school and training them for the work force? Do you help participants find work opportunities? Caylee Harris: Within the TIP Model, our life coaches help develop the skills of our young adults within all life domains, including education and career. For example, coaches may provide career counselling and exploration assistance, take their clients on a field trip to tour a college or vocational school, or assist with completing job searches and job applications. They also provide support in resume building and practicing for job interviews. Whatever the aspirations of our young adults, our life coaches are there to support them. Kars4Kids: Tell us about your Refugee Youth Pathways (RYP) program. What are some of the problems that are faced by refugee youth in your area? Caylee Harris: When refugees come to America, they arrive with varying degrees of educational attainment and often little to no support network. This is especially true for refugee youth. 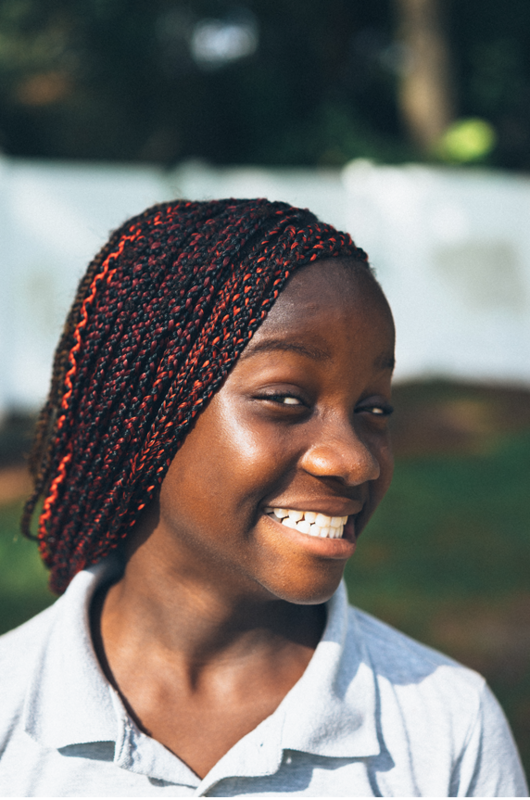 To help overcome a lack of English skills and an unfamiliarity with American customs and culture, our Refugee Youth Pathways program provides support to 16-19 year olds in the Tampa Bay area, with a focus on developing their educational, language, and employment readiness. Many youths come to us at risk of dropping out of high school, not meeting high school graduation requirements, or in need of alternatives to a traditional high school education. We provide case management services and a supportive, inclusive environment where refugee youth can connect with peers facing similar challenges. By the time they are resettled in America, many of our clients have already overcome significant hurdles in their young lives. Yet, we have seen how their resiliency and perseverance, coupled with the support from our RYP program, sets them on a trajectory for a stable and successful future. For example, when Maria (one of our current clients) was young, she repeated fifth grade twice and dropped out of school for over a year. She and her family left Colombia because of the harassment she received as an individual who identified as transgender. Upon arriving in the United States, she enrolled in high school but struggled with the English language and was further behind educationally than her American peers. As a transgender student, she struggled with feeling like an outsider. Maria soon learned that she did not have enough credits to graduate on time with her class and continued to feel that she was not accepted at school. She ended up dropping out. Last year, Maria enrolled in the RYP program and has already made significant gains in her English language skills. At first, she would communicate to program staff only in Spanish. Within a few short months, she began speaking more English and showing greater confidence with the language. Her goal is to get her GED, so when staff told her about the Spanish GED program, she immediately spoke with her school about securing a voucher for the program. The RYP program helped her enroll, and this January, she began taking GED classes in the evening while continuing her English classes during the day. Kars4Kids: Can you tell us about some of the youth you’ve helped? Do any of them come back to update you on their progress, or just to visit? Caylee Harris: Since 2005, we are proud to have served over 1,900 individuals from 33 countries with our Refugee Youth Services. We are unable to stay in touch with all of our former clients, but happily we do receive calls and emails occasionally and we do run into a number of our former clients at various community events. Of course, social media is also a great tool for staying up to date. 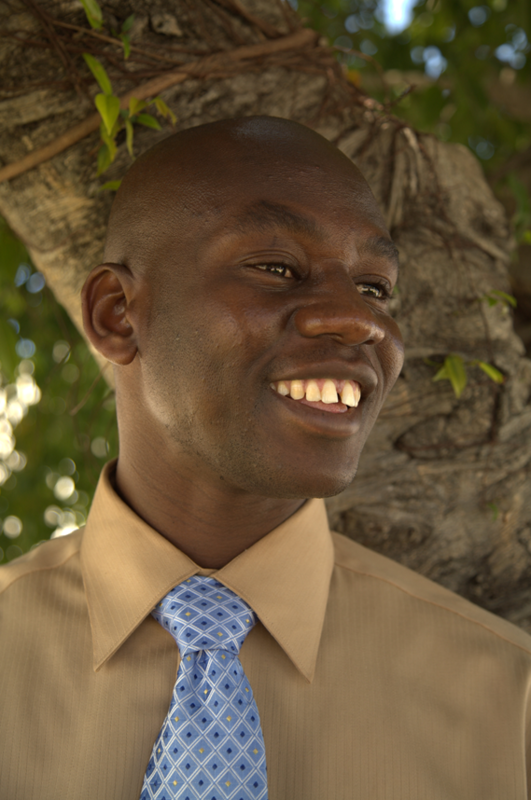 We recently learned that one of our program graduates had made it through his first semester at Harvard! Kars4Kids: Tell us about your Good Afternoon Friends and Amigos program. What age does this program target, and why? Caylee Harris: Based on feedback and data collected from a variety of focus groups, local assessments, and studies, Gulf Coast JFCS developed the Good Afternoon Friends and Amigos (GAFA) program to support the students, families, and communities of Wimauma and Plant City, Florida. The needs identified through the aforementioned sources indicated a lack of out-of-school time programming, a desire for quality family childcare, improved access to behavioral health resources and counseling, increased safety for students, reduced school bullying, increased attendance and graduation rates, and stronger relationships between community stakeholders, schools, and families. The GAFA program launched in two elementary schools in school year 2017-18, successfully serving over 60 kindergarten-to-third grade students and their families. At Reddick Elementary School in Wimauma, and Robinson Elementary School in Plant City, students are provided tutoring and homework assistance and engage in social and emotional learning (SEL) skill building to promote school success and self-regulation. What is unique about this program is its comprehensive family engagement component. GAFA provides quarterly family engagement workshops, related SEL curriculum “link lessons” for parents, home visits, wraparound support plans, and information and resources to meet family needs. GAFA is now entering its second year, and already its robust set of no-cost services has proven effective in improving students’ motivation to learn, developing students’ positive social behaviors, involving parents and caregivers in their child’s development and education, and increasing family social supports. The program was designed to target an underserved population in our community. GAFA serves at-risk students from low-income homes, primarily students and families from migrant worker communities in Hillsborough County, Florida. Kars4Kids: What’s next for Gulf Coast JFCS? Caylee Harris: Gulf Coast JFCS is working towards a number of strategic goals. We have been around for nearly 60 years, yet continue to hear we are one of the area’s best kept secrets. As such, the agency is striving to elevate its profile, deepen engagement with the community, and strengthen internal operations to ensure we will be able to serve the community for another 60 years. Gulf Coast JFCS was founded in 1960 as a means to provide counseling and family support services to the Jewish community in Pinellas County, Florida. Despite expanding our services and geographic footprint significantly, we still have a robust Jewish Family Services division that provides important programs to the local Jewish community in Tampa Bay. For example, we proudly support over 260 Jewish Nazi Victims through our Holocaust Survivor Program. A few years ago, Gulf Coast JFCS helped commission an expansive Jewish demographic study of our local area, whose results were published in 2017. Now equipped with critical insights into the needs of the local Jewish community, Gulf Coast JFCS is focusing on strengthening our engagement, identifying new initiatives to better serve residents, and collaborating with new and more diverse community partners. As a dynamic organization that serves individuals from all faiths, cultures, backgrounds, and identities, Gulf Coast JFCS is constantly evolving to meet the needs of our clients and the community as a whole. We hold a number of state and federal contracts to provide critical services to vulnerable populations across the state of Florida, including vulnerable children, the elderly, disabled individuals, refugees, and individuals struggling with behavioral health issues. Like all nonprofits, one of our ongoing strategic priorities is ensuring the sustainability and viability of our programs and contracts. Over the years, state and federal funding levels shift or disappear altogether. Sometimes, new opportunities arise for Gulf Coast JFCS to launch new programs or enhance existing services, and we are constantly seeking both private and public funding for such opportunities so that we can continue to respond to the needs of the communities we serve. To do so, we are focused on expanding our fund and resource development, growing our volunteer engagement, deepening our donor cultivation, and enhancing our special events. At Gulf Coast JFCS, we recognize that our success as an agency is tied directly to the quality and satisfaction of our staff. As such, the organization has taken a number of steps to bolster employee recognition, retention, and development. In 2017, Gulf Coast JFCS embarked upon an agency-wide strategic visioning process, which has yielded a number of important insights into how we can increase employee engagement, plan for management succession, and learn from employee exits. This project initiated with agency leadership and has since expanded to incorporate staff at all levels and locations throughout Gulf Coast JFCS. Together, we have reimagined the onboarding and orientation process for new hires, enhanced employee engagement and professional development, and developed innovative methods for communicating and connecting across the agency. The numerous outcomes from this initiative launched in early 2019. Gulf Coast JFCS rewards its high performing leaders through the Gladys Schutz Exceptional Leadership Award, which is presented to one exceptional program director each year. For three years, the agency has also been cultivating its own leaders internally through its Child Welfare Future Leaders Group. To date, 18 aspiring leaders have gained valuable skills and experience to enhance their careers at Gulf Coast JFCS and five currently hold leadership positions at the organization. With a strong foundation and a number of strategic priorities already underway, Gulf Coast JFCS looks forward to strengthening its internal operations, elevating its profile and programmatic reach, and continuing to serve the community to the best of its ability for years to come.